Spanning more than two hundred years, An African American and Latinx History of the United States is a revolutionary, politically charged revisionist history, arguing that Latin America, the Caribbean, Africa—otherwise known as “The Global South”—were crucial to the development of America as we know it. 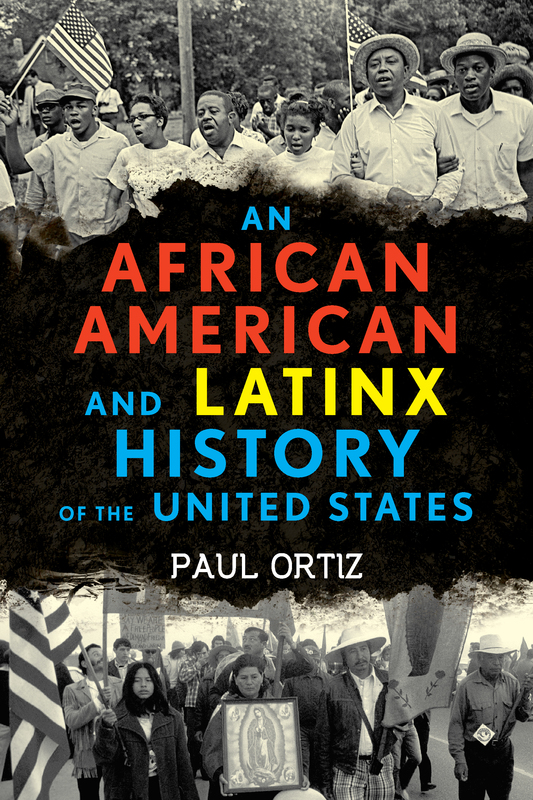 Ortiz challenges the notion of westward progress, as exalted by widely-taught formulations like “Manifest Destiny” and “Jacksonian Democracy,” and shows how placing African American, Latinx, and Indigenous voices unapologetically front and center transforms American history into one of the working class organizing themselves against imperialism. In precise detail, Ortiz traces this untold history from the Jim Crow-esque racial segregation of the Southwest, the rise and violent fall of a powerful tradition of Mexican labor organizing in the 20th century, to May 1, 2006, International Workers’ Day, when migrant laborers—Chicana/os, Afrocubanos, and immigrants from every continent on earth—united in the first “Day Without Immigrants” to prove the value of their labor.